To cement or to screw – that is the question. Not anymore, startup RODO Medical has added a new option. Reversible retention using a shape memory metal dental retention system which uses one or more compression plates made from various shape memory materials, e.g., nickel-titanium alloys such as Nitinol. By applying energy via heat or electrical energy, the memory metal elements change shape. 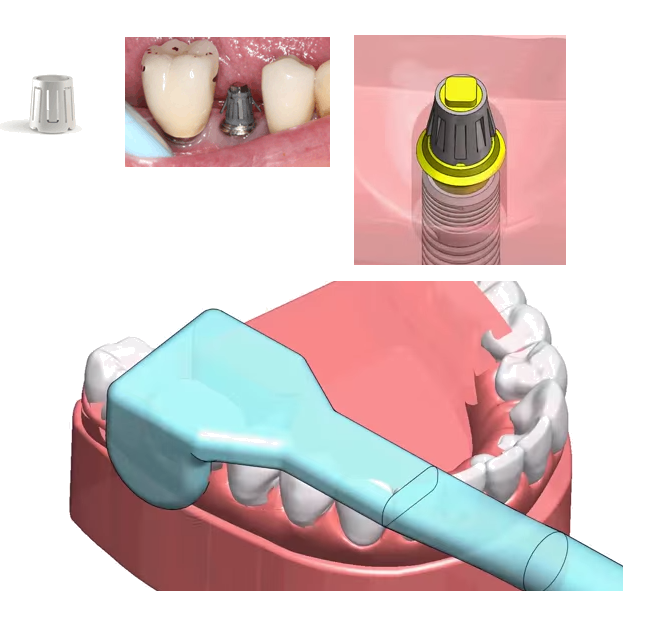 To remove a crown, energy is applied via a wand and the memory metal retentive element shape shifts allowing the crown to me removed, thus avoiding the need for pulling, tugging or cutting to get the crown off the implant. A bonus is that no cement is involved avoiding the risk of cement-induced peri-implantitis and bone loss. Straumann has acquired approximately 12% of RODO Medical’s shares for an undisclosed sum and ClearChoice has announced a strategic alliance between the two companies. Rodo Medical has 8 patents on this technology.